I returned from Houston last night just in time to sit down to supper with my family! It isn’t really fall there (yet!) 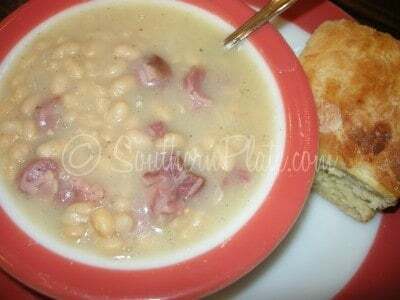 but it sure is here in Bama, so I thought I’d share some of my favorite soup and stew recipes with you today. At the first sign of chill in the air, BBQ joints around here start cranking out this delicious stew. It helps them use up any leftover shredded pork and chicken that they may have. By mixing in their signature bbq sauce (my No. 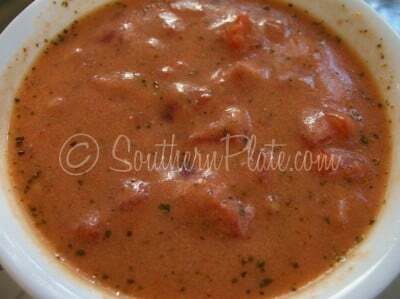 5 signature bbq sauce recipe is in my cookbook in case you need one) and whatever vegetables they have on hand they can turn out a flavorful and filling stew unlike any other. Includes lots of ideas to customize this classic and make it your own! 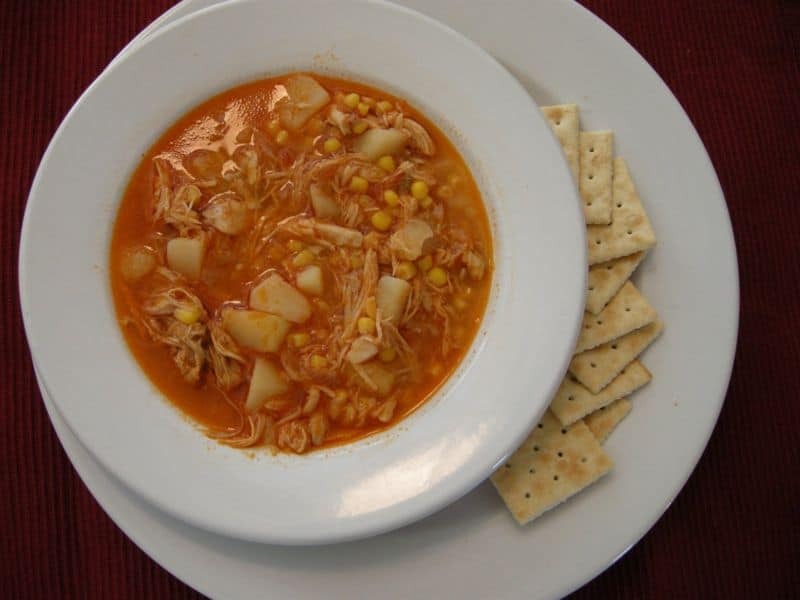 Full of flavor thanks to the Enchilada sauce, this soup is a cinch to throw together! 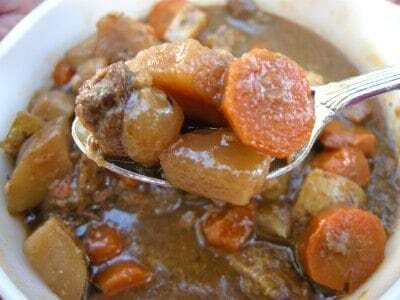 Here is a fuss free, economical, and delicious beef stew to warm you from the inside out. I just love stew weather! 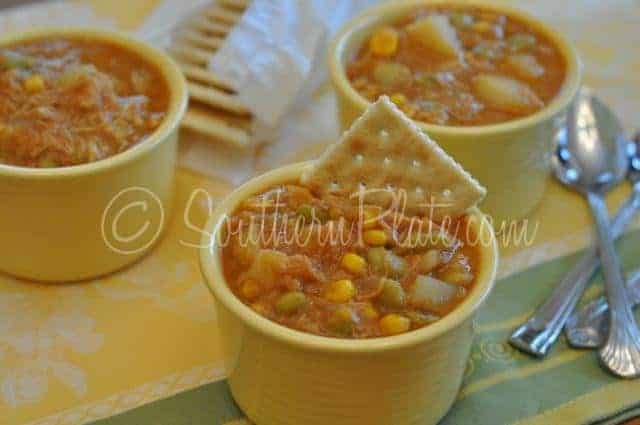 To me, this tastes a lot like Cracker Barrel’s Vegetable Beef Stew, but with more goodies inside! This stuff is good, you really need to make it! With a few ingredients and a few minutes, you can have an outstanding tomato soup. Can you say Grilled Cheese? Oh my goodness is this ever good. Warm, soothing, filling, and with shortcuts to save time! This corn chowder is a great meal for vegetarians. Simply substitute the chicken broth with vegetable broth and you’re off to the races! 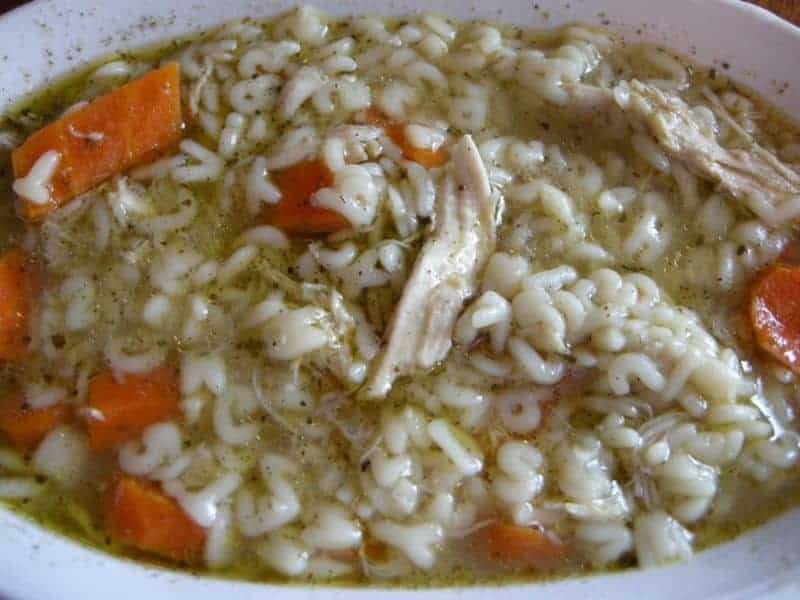 This soup is the absolute favorite of my son and all of my nephews! 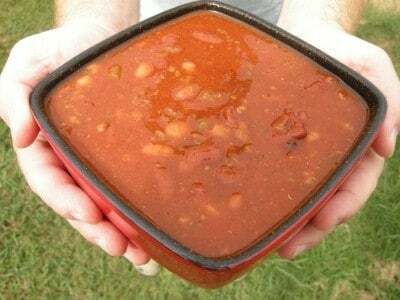 “Free Soup” – Dieter’s Best Friend! This recipe is one my mother and I have used for over twenty years, and we still love it. Many diets have “free” vegetables, which are basically vegetables that are allowed without restriction. What this soup does is combine those vegetables in with a richly flavored broth and serves them up as the perfect anytime dish to fight off the munchies, serve as a quick and easy lunch, or a filling side dish with your evening meal. I worked up this recipe especially for my Aunt Sue, who makes the worlds best pound cake but can’t eat tomatoes. How are those two related? Well, beyond me just putting them in a sentence together I reckon that’s about it, but you can get her pound cake recipe in my cookbook ~winks~. If you’ve made any of these recipes I’d love to hear about them in the comments below! Which of these recipes is your family’s favorite? I made the ground beef stew this week. 2 other male friends came over and decided to stay for dinner when they saw what I had on the stove! It was a perfect meal for family and friends. I look forward to making the Free Soup! I need to drop some serious weight (as in surgery would be an option if we could afford it), so I think I’m going to keep that on hand. I fixed a big old batch of the taco soup this weekend and froze half of it. I also do not care for tomatoes in my stew so will be trying out your recipe next week. I’m having everybody and their dog over for gumbo this saturday so it will be a few days before soup will be on the menu again! 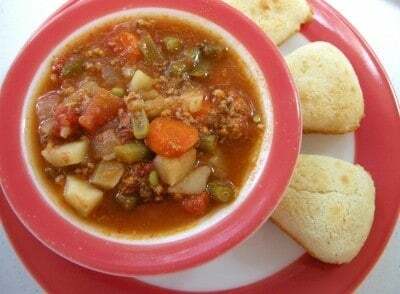 I’ve made your ground beef stew several times, my husband and I love it, especially with cornbread. The Spicy V8 juice gives it so much flavor, just delicious! Its been cool and very fall like here in Northern Virginia, so it has been perfect for supper. I made the chicken stew last night, again, and my friends loved it. My husband called me yesterday to ask if I had my chicken stew made yet. He really likes it. Made extra to freeze so we can take it out on a cold day and enjoy. Love, Love the recipe. Looks like I am going to have to make them all. MMMMMMMMMM looks so good. 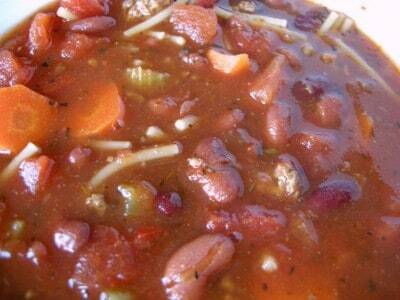 I make refridgerator soup, mostly leftovers with diced tomatoes and added beans and sometimes onion soup mix. Its soup weather! Hey Sweet Christy!! There is a batch of Our Family’s Chicken Stew in my fridge at this moment! Such a great recipe to double or triple and share with others. (We had the Taco Soup last week.) Looking forward to seeing you 11/10/11 at the big event! Is Brady going to be your “warm up the audience act”?? The BBQ Joint Stew is to die for. I made it for our latest annual Super Bowl party and what a hit! I froze the left overs and we enjoyed the last of it recently. Time to make more now that winter’s coming on. Comfort food! I am so glad to hear that you like the BBQ Joint stew!!! Christy, These are all such grear recipes! Once the weather gets a little chilly we could eat soup& stew everday. Thanks again for all of these wonderful recipes! I completely understand Lisa! If it wasn’t for spell-checker I would be in some serious trouble!! Oh I really like some of these right off the bat – I’ve added them to my recipes. Thank you for all your insight on good down home meals. I hope you enjoy them Kat! We’ve made the chicken stew a couple times and it really is just as amazing as you say! I am so glad you like it Jen!! Hope you have a great day!! The chicken noodle is awesome! Going to try ground beef stew tomorrow! 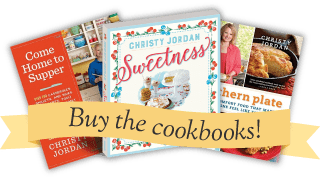 Every recipe I have tried has been great and I have tried LOTS and LOTS…. I am so glad you are enjoying the recipes Mary!!! That just made my day!!! That’s why I try to post all kinds of varieties of things. I know not everyone is going to like every recipe. But I am glad to hear that you like the others!! I felt kinda bad posting that a recipe I made wasn’t a favorite, but like you said, everyone has different tastes 🙂 It can kinda hurt when you share a recipe and someone makes it and doesn’t love it- I’ve been there and can’t help but wonder if they did something wrong! As for your recipes, I’ve made probably 30 of them if not more (and many of them multiple times) and we are crazy about the vast majority of them. I make something from Southern Plate at least once a week, if not more often- yesterday I made your Chicken Planks for the second time (and posted about it on my blog!). Your “grilled” chicken tenderloins, hoe cake, sweet and sour green beans, mashed potatoes, chicken and dumplings, taco soup, beef stew, sugar cookie icing, cream cheese frosting, peanut butter balls, cheesy chicken casserole, and many more are amongst our all time favorites. And last night as we were falling asleep my husband randomly woke up and asked me if I could make the 7 Up pound cake soon. I love all your recipes!!! I have made the taco soup, tomato-less rustic beef stew, chicken stew & potato soup. They were all amazing & were scarfed right up!!! LOL Thanks so much for doing what you do. God bless. WOW! Thank you so much Pam!!! I am so glad you are enjoying the recipes. Hope you have a blessed day!! 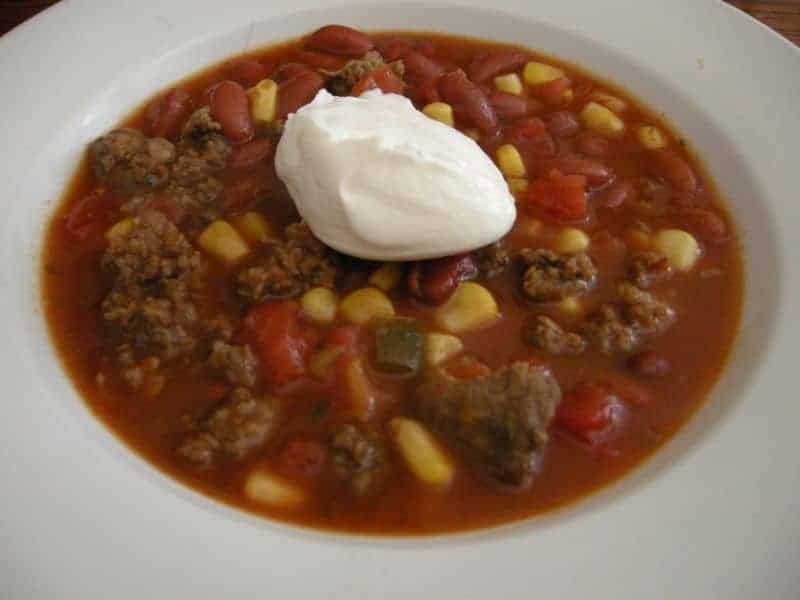 Christy, I’ve made the Senate Bean Soup and also the simple tomato soup. the bean soup also, next in line is the crockpot chili and the potato soup. I have made so many of these!!! 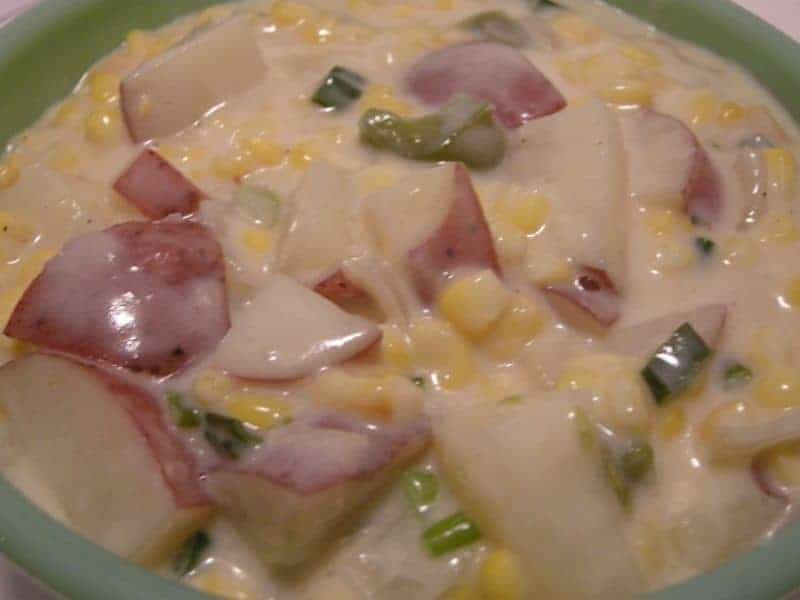 My husband and I LOVE the corn chowder!! It freezes very well also. Thank You Christy for so much good eating!!! We’ve made all of them and the potato is our favorite. We have it at least every other week in the fall and winter and I always double the recipe so we have leftovers for lunches! 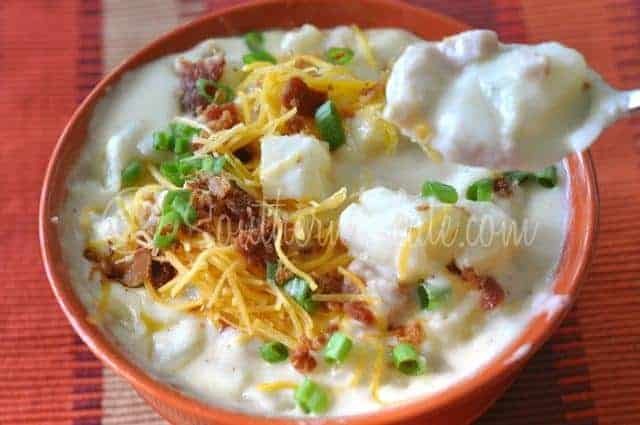 I’ve made the potato soup 2x since finding your recipe a month ago. It is a favorite for me and my family! Ooh those are some good lookin’ soups! Hi Christy! It’s Aunt Missy from Texas! Good news…I think fall has arrived here! 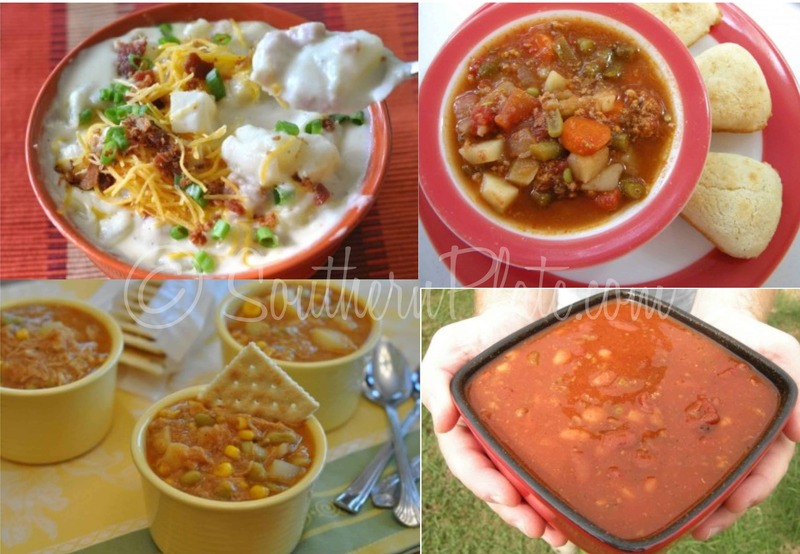 It feels like the kind of weather for soup, stew, gumbo, chili…yum! Good morning christy! I love the brunswick stew!! My family every year when i was younger around this time would make a huge pot (like a witch’s pot Lol) outside over a real fire! It was so awesome! It was so much stew they would freeze what we didnt eat for the rest of the winter! I will be trying ur receipe for sure! Thanks! I am a UNA Culinary major, and I take a lot of pride in trying out & sharing your recipes! I am a newlywed, and decided I better cook some chili to prove my talents & earn my keeps as we enter this sweater weather. (; He loved it, as did I! Your chili was great, & I can’t wait to try it again for friends. Looking forward to seeing you on the 10th!! Can’t wait to see you too!! It’s getting close!! 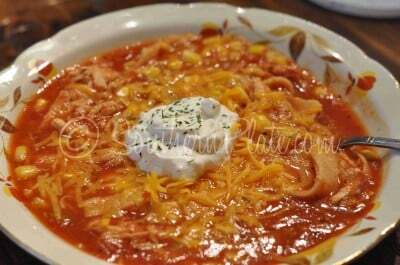 I made the Chicken Tortilla Soup, It was so good. I usually do not like Mexican food but this soup was very tasty. I would make it again. I made the chicken noodle soup last night and was happy to find it’s the same recipe I have been making for over 13 years!! A friend of mine brought it to me after I had my daughter and I love it!! We use orzo noodles. I woke up with a bad cold this morning, so it was perfect timing. I’ve also found that if I don’t have time to boil a chicken and make a big pot, I console myself with some chicken boulion, paprika, and then toss the noodles straight into that. I have had that before when I’ve been sick and everything else is just too much!! Love your recipes!! My husband is ready for me to make the rustic beef stew!! Since it’s deer season, we may try it with some deer around here! I made this Taco Soup tonight for my boyfriend. I made the potato soup tonight for dinner! AMAZING!!! Thank you!